Poverty incidence among Filipino individuals has declined to 21 percent in 2018 from 27.6 percent during the same period in 2015, according to latest statistics bared on Wednesday. "Poverty incidence among Filipinos has decreased to 21 percent during the first half of 2018 from the adjusted 27.6 percent during the first half of 2015," National Economic Development Authority (NEDA) Undersecretary Adoracion Navarro said in a press briefing. "Over the course of three years, we can see that poverty decreased substantially—down by 6.6 percentage points," she added. The percentage means that about 23.1 million Filipinos have incomes that fall before the poverty threshold in the first semester of 2018. Navarro attributed the decline to "sustained economic growth and critical and broad-based reforms and investments," which supposedly have translated to employment generation and social protection. 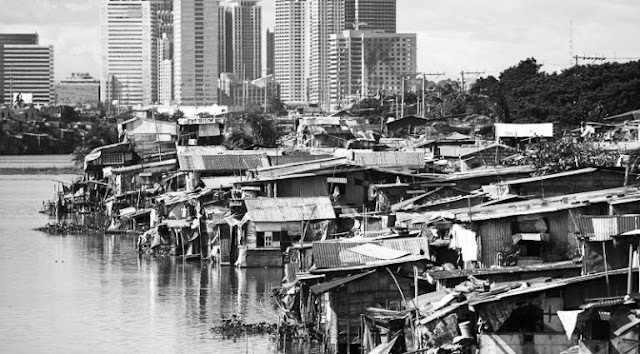 The Philippine Statistics Authority (PSA) said poverty incidence is referred to as the proportion of the population living below the poverty line to the total population. On the other hand, poverty incidence among Filipino families was estimated at 16.1 percent, which was down from 22.2 percent in the same period in 2015. According to the PSA, no less than P10,481, on average, was needed for a family to meet both basic food and non-food needs for a month. This represented an increase of about 11 percent from the first semester of 2015, the PSA added. Assistant Secretary Josie Perez of PSA explained that when a family has that amount, it means that it can buy its basic food and non-food needs, however, it does not mean that the family is not poor. "Pag below doon, 'yun 'yung sinasabi namin na nasa poverty. Hindi namin sinasabi na porket may P10,000 ka eh hindi ka na mahirap. Pero kumakain ka. Nabili mo 'yung basic food mo," Perez said. "Kung meron sila doon sa poverty threshold nila, kaya nilang mabili 'yung kailangan nilang food at kaya din nilang mabili 'yung other non-food necessities," she added. Government officials were pressed by media if the amount was "enough" for a family of five. Navarro then pointed out that the poverty threshold was often perceived to measure one's quality of life. She noted that there are disparities across region when it comes to the perception of quality of life. "Doon nagkakaroon ng confusion ang media. Tinitingnan kasi ito na parang basehan ng quality of life na kung nakakagaan na ba sa buhay ang isang tao which is a subjective perception," Navarro said. "The perception of the quality of life differs from one another. We really need to have a national average poverty threshold so that we can measure all Filipinos against a one standard and we can also have a clearer picture, if on the average, our programs are succeeding or not," she added. The PSA noted that these are 10.9 percent higher than the food and poverty thresholds during the first semester of 2015. Meanwhile, a family of five needed no less than P7,337, on average, to acquire basic food needs for a month. This showed an increase of 11.2 percent from the first semester of 2015, the PSA noted. The PSA data also showed that the National Capital Region (NCR) was observed to have the highest average poverty threshold for a family of five in a month with P11,752 during the first semester of 2018. On the other hand, MIMAROPA registered the lowest average poverty threshold for a family of five in a month with P9,517 for the same period.